On Monday, the Yankees made it official: Miguel Andujar is their third baseman. The Yankees activated Brandon Drury off the disabled list and optioned him to Triple-A Scranton, where he will continue working through his ongoing migraine and vision issues. He’s doing better. Apparently the Yankees have seen enough from Andujar in the early going to stick with him at third base. Drury went on the disabled list seven games into the season, and since then, Andujar has put up a .284/.297/.463 (101 wRC+) batting line while flashing the tools that made him a strong prospect and the warts that prevented him from being an elite prospect. His hands are lightning fast — who can forget the seven-game run in which he went 15-for-29 (.517) with eight doubles, one triple, and three homers? — and he has a knack for getting the bat on the ball. 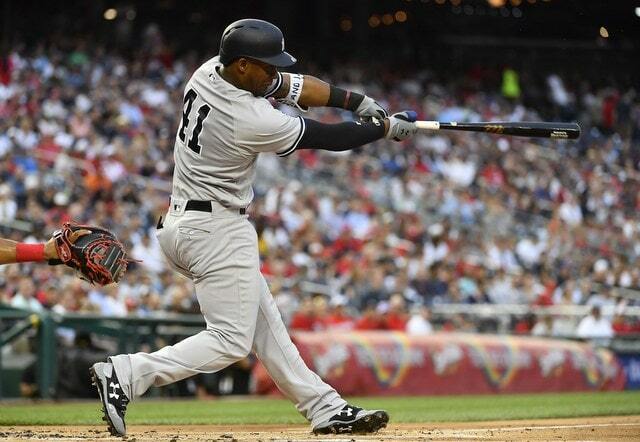 Despite his ongoing seven-game hitting streak — Andujar is 9-for-28 (.321) in the seven games — Andujar has cooled down at the plate these last few weeks, which was bound to happen. He wasn’t going to continue ripping two extra-base hits a night all season, you know? Last night’s double was Andujar’s first extra-base hit in 14 games and he’s drawn one walk in his last 101 plate appearances. His 2.2% walk rate is an eyesore. Yep. Fewer fastballs and fewer pitches in the zone. It was bound to happen. Now it’s up to Andujar to adjust, and the adjustment is crystal clear: Stop chasing out of the zone. Easier said than done! But that’s it. Get that 38.2% chase rate closer to the 29.2% league average and things’ll take care of themselves. Andujar will get himself into better counts and see better pitches to hit once he shows more discipline. Until he does, pitchers won’t challenge him. I think optioning Drury to Triple-A is as much about Andujar’s development as it is Drury’s ongoing battle with blurry vision. The Yankees want to get Drury right and soon, because he’s a good player and there’s always room for more good players on the MLB roster. Remember, he’s only 25. Drury is a potential long-term keeper himself. Having Drury and Andujar push each other at third base is a good thing. Competition is healthy. I also think the Yankees believe — and I agree with this 100%, by the way — Andujar needs to face big league pitching to improve. Want him to stop chasing out of the zone and do a better job against non-fastballs? Okay, but he’s not going to learn to hit big league pitching in Triple-A. Send Andujar down and he’s going to hammer Triple-A pitching because Triple-A pitchers are not as good as big league pitchers. There’s not as much to be learned from that. There is a case to be made for sending Andujar to Triple-A to work on his defense. Offensively though? 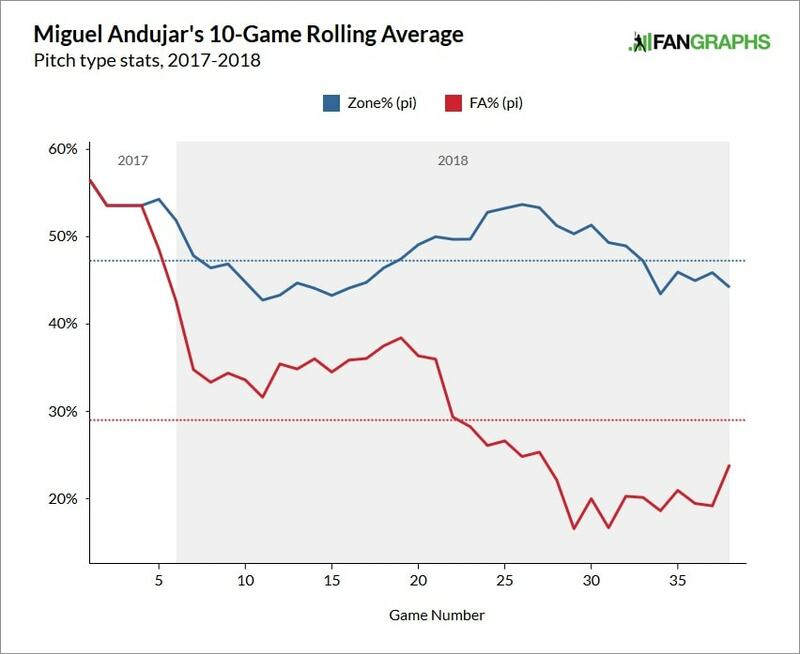 Andujar is at the point where he needs to face big league caliber pitching to improve. He needs to be challenged, so the Yankees are balancing offensive development with defensive development, and they’re prioritizing offense, because Andujar is always going to be a bat first guy. Emphasize the carrying tool and let everything else catch up. Andujar has 138 plate appearances with the Yankees this season. There’s been a lot of good and some bad. Like most young players, he’s had his ups and downs, and the downs have been more recent. I understand why some may want Drury at third base and Andujar to go to Triple-A, I totally get it, but this is a 23-year-old (a just turned 23-year-old at that) who’s done some good things and deserves more time to learn on the job. Development does not stop at the big league level. Hell, more development takes place in MLB than in the minors. The Yankees have a deep lineup, deep enough to let Andujar go through his growing pains without sabotaging their chances to contend, and Drury being optioned tells us they’re willing to be patient with Andujar, and let him find his way. Improved plate discipline is the No. 1 goal, and Andujar won’t develop MLB caliber plate discipline in Triple-A.